Mark Miller Subaru is a premiere provider of Subaru Parts to Salt Lake City and the surrounding areas. Our expert Subaru parts staff are here to assist in ordering and making sure every part you put into your Subaru is genuine. Each month at Mark Miller Subaru we offer Subaru parts specials for you to print and save on your parts visit. Stop by during our convenient dealership hours or call us to make an appointment at our Salt Lake City Subaru dealership. Mark Miller Subaru offers a state-of-the-art service facility and comfortable waiting area. You can also fill out our online parts request form to the right. Use the appointment form to schedule your next Subaru parts or repair from the convenience of your computer. Mark Miller Subaru is proud to be serving Salt Lake City, Provo, Murray and Sandy Utah. Bring your car in to our South Salt Lake and Sandy UT locations for: Timing Belt Replacement, Brake Replacement, Oil Changes, 4 Wheel Alignment, Tire Rotations, Clutch Replacement, Check Engine Lights, Battery Replacement and more!? 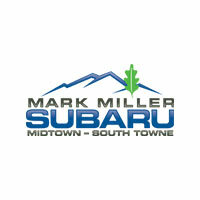 You can always trust Mark Miller Subaru with your new, used and pre-owned vehicle repairs and factory maintenance. We may be specialized in Subaru’s, but we also have over 20+ years combined experience in servicing all makes and models.